On this page I am looking back at the venues we played and trying to remember a little bit about them. 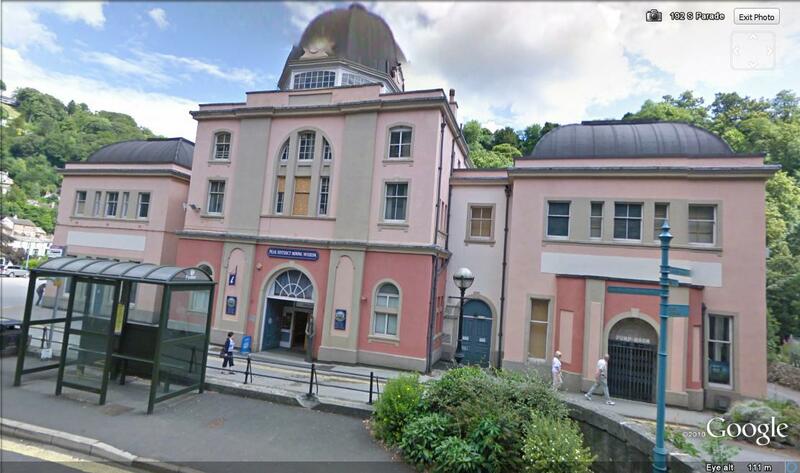 This was our base, we used to rehearse upstairs in what was the old concert room, what great times we had there, Harry Gosling was the landlord a great guy, he really liked jazz so the juke box had a really good selection of jazz. The juke box also had a lot blues on thanks to Harry’s son Jeff ( Jebs), from around 1966 to 1969 this was the in pub in Cleckheaton and i am sure there are a lot of memories of those times for a lot of people who used to frequent the Royal ,also i must mention that the beer was Hammonds and a pint cost one and eightpence. If we did not have a gig on the Saturday we used to a have a jam session Sunday dinnertime when we would play stuff like Blues for CA, Misty, Fog in G Minor, Bluesette, Satin Doll and a lot of 12 bar blues, the pub would be jam packed. One other person that should be mentioned is Sargent Perfect the local plod, he spent many hours trying to catch us drinking out of hours , in those days that was a major crime, how times have changed. 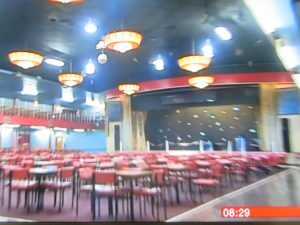 This was the scene of the last Zany Woodruff Operation appearance, this was where we played the reunion gig in April 2006, the club is now closed and no one knows whether it will ever open again. 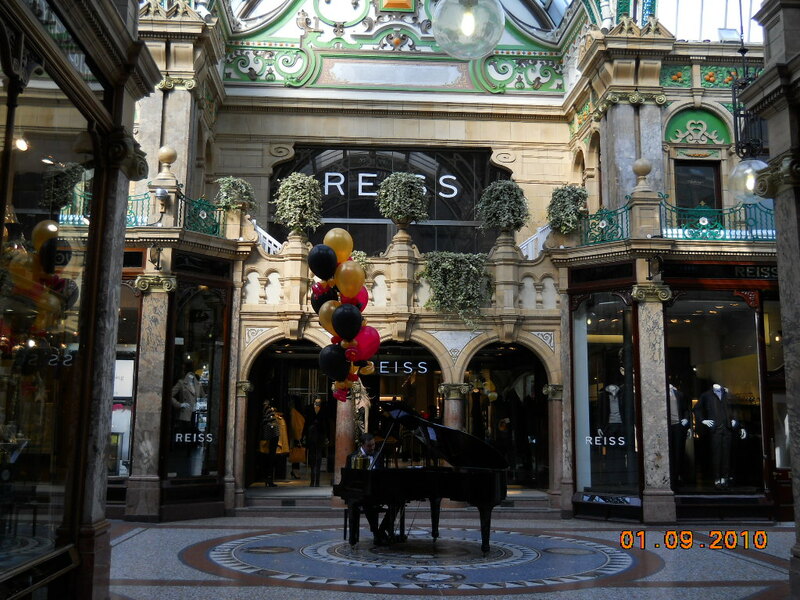 The El Centreco (The Central) – Leeds. 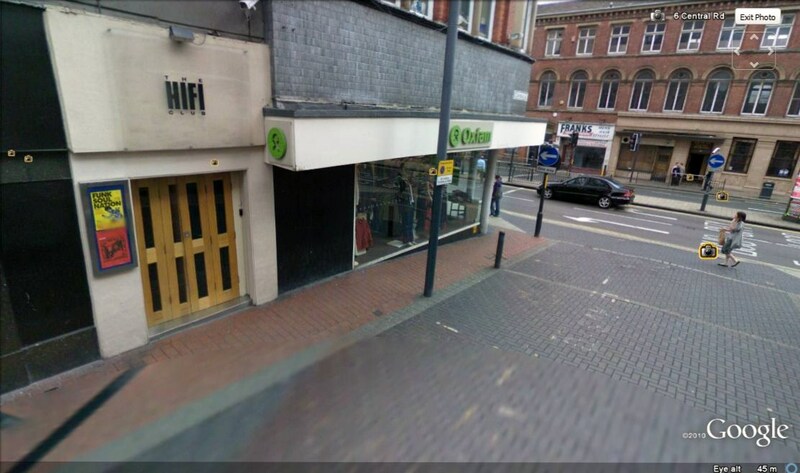 This was a really good gig for us, the club was in a basement , it is still being used as a club even to this day and is currently called the Hi Fi, it is situated on the precinct called the central, opposite The Duncan pub, I think there used to be a pub opposite it called the King Edward or the Prince Edward. Because there was no alcohol allowed it was basically what we used to call a teenieboppers club, in other words the age group was around sixteen. We had a big following of young girls from the club and when we played any other Leeds venues they would turn up.When we played in Leeds we used to go out to Whitelocks for our interval drinks, Youngers number 2 was the usual lotion if I remember rightly. One thing I can remember about the DJ was that he always went out for a drink, when he came back he was usually p***ed, he was then usually sacked, but he was always there the next time we played, he would always play No Milk Today to finish the evening off, sad that one can remember that. I also remember the bouncer on the door, a big coloured guy called Willie, he used to take all our equipment out on his own at the end of the night. (top man). 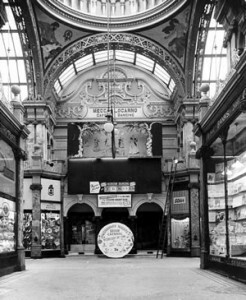 This was the entrance to the Spinning Disc, now part of the Victorian Quarter. This was a venue we used to play quite often, it was in the county arcade opposite Kitchens music shop, (see the Leodis Spinning Disc link) when we first played there I think that Jimmy Saville used to be the DJ. We always went down well and had a good following when we played anywhere in Leeds. The last time we played there I think was at an allnighter supporting a group called The Factotums, they were a really good harmony outfit (aka – The Beach Boys) I seem to remember a great version of God Only Knows (see the Factotum link). The Fford Green -Hare hills – Leeds. 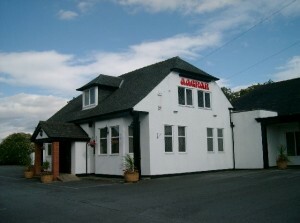 This was a great pub to play, a very popular venue unfortunately it closed down in the 90s but the building has been turned into a supermarket. 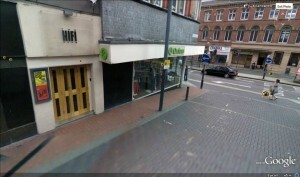 The Bee Gees Club – White Horse Steet – opposite C&A – Leeds. This was a club in a cellar, I think there was a chinese restaurant above it, apparently it was a blues club before the soul scene, I did hear that the Steam Packet played there with Long John Baldry and it had the same prestige as the Plebs Club in Halifax. Le Phonograph – Merrion Centre – Leeds. 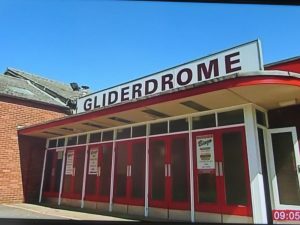 This was a club that we played regularly, to get to it you went into the Merrion Centre and there was a kiosk which when you entered took you down some steps into the basement. This club catered for a older clientele and was considered quiet trendy in those days. 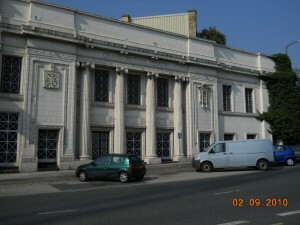 The Royal Lido Ballroom – Prestatyn. On the seafront this was a great gig to play particularly in summer, a really nice ballroom which used to get all the top acts of the time including the Beatles. 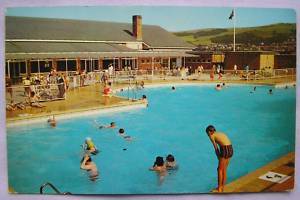 Outside was a swimming pool, in the 8os the building was turned into The Nova Leisure Centre. Most of the university gigs were very much of a like, sometimes we were the headline band and on occasions we were the support to a big name band. The only Uni that stands out was when we once played Newcastle, and we were support to Adam Faith and The Roulette’s, I seem to remember the Roulette’s were very good, I also remember that we were given a couple of crates of Newcastle Brown before we went on, which went down very well. (Maybe that’s why I remember the Newcastle Uni gigs). This venue was a huge entertainment complex in the centre of Seahouses, it was on the sea front, it was run by Ken Britain and his family. I remember we supported a band called Copperfield, they were from the same record label as a group called Badfinger, ie Apple, it was a great gig to play in the summertime but in winter it was not too good getting there in the snow and the rain etc, i believe it as now been turned into holiday apartments. 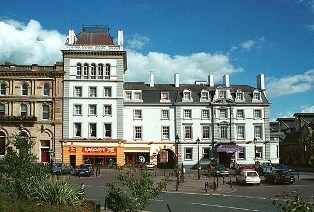 The Sheridan Rooms – Huddersfield. 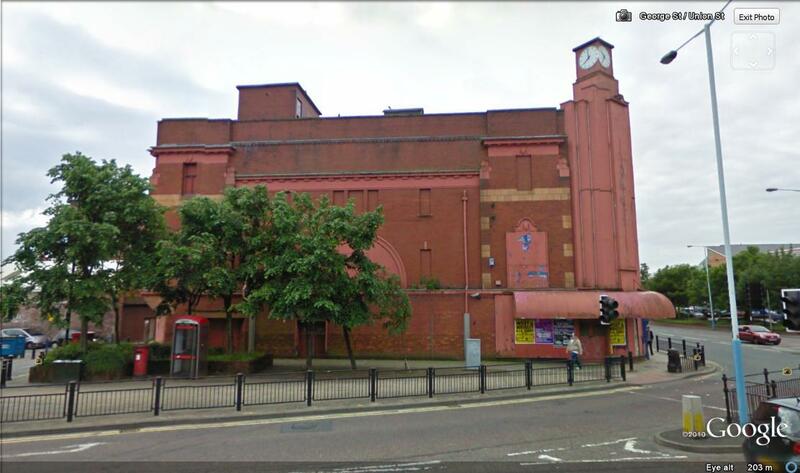 This venue was originally a cinema built in 1909, it closed in 1959 and in the 60s became a jazz and rock club, it changed its name to Ivanhoe’s in the middle 70s. 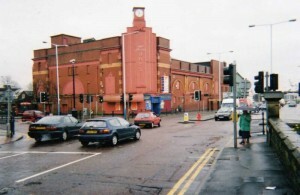 It closed in the 80s and was bought by Liddles supermarket chain and the interior demolished, part of the the exterior has been left standing. 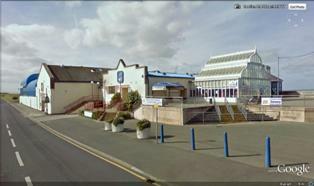 We only played here the once and we were involved in a huge fight which Slim the roadie as fond memories of i am sure. The Alexandra Hall – Halifax. Another venue that in its time featured the cream of rock and pop, closed in 1970, but the halls name in large metal letters can still be seen above the buildings twin entrances in Alexandra street spelling out fond memories of the 60s. 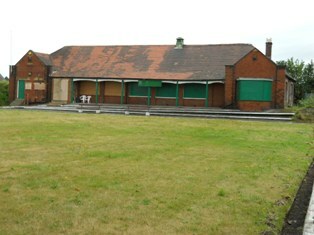 Leeds ice – roller skating rink. 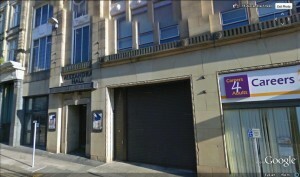 This building was on Kirkstall Road, it was a bowling alley on the ground floor and upstairs it was a ice rink then a roller skating rink.When it shut down it was taken over by Yorkshire TV. 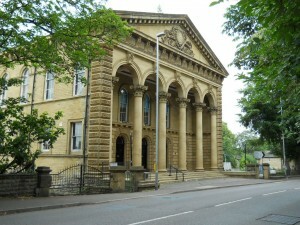 The Marlborough Hall – Halifax. This was a very impressive ballroom, the picture i took myself, the hall is owned by the YMCA, i went inside and asked if the hall was still in use and the girl in reception took me into the hall and put the lights on for me and let me take a photograph. 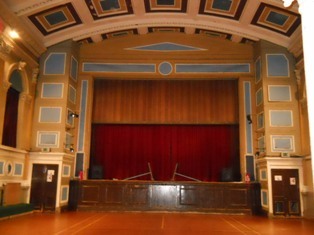 It is now a grade two listed building ,but when i entered the room it was like going back in time, many thanks to the girl for her time, the hall was run by the Crabtree brothers and this venue used to feature all the top acts in the 60s. 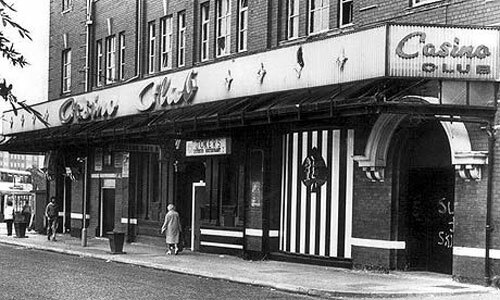 This was one of the north wests best venues from around 1964 untill it closed in 1978, all the top bands of the 60s and 70s played here, it was originally a jazz club, we played this gig a couple of times. This building was originally the Grand theatre, it become a venue for bands from around 1962 until 1972, in this time the Beatles and all the other top bands played this venue, it becme a bowling alley and then a night club and then closed in the 80s, i believe it is now not used at all which is a great pity. Bradford Ice Rink – Penny Farthing. We played the ice rink many times, and that was where we won the heat to take us into the final of the Search for Sound competition. On one occasion we backed the Drifters there and then went on to the Penny Farthing and backed them there as well, the reason being, their backing bands van had broken down, and could not get to the venues, as we were with the same agency and we were based near Bradford we were asked to stand in for them which we did. Top 20 Club – Idle – Bradford. Formally Idle Conservative club it was turned into a nightclub around 1964, it as now reverted back to the Conservative club. In the middle 60s this club featured all the name bands, every group that was in the charts played there, I remember Garth Cawood was the DJ and the last record of the evening he would always play Its Only Make Believe by Conway Twitty. In around 1966-67 it s name was changed to the Double o o Club, it then featured soul and Tamla Motown bands. This hall was upstairs at the Black Horse pub, we played there a few times, the first time we played there a huge fight broke out, we thought it was because the local ladies were besotted by the Zanies, alas we later found out that a fight would occur there every week and it was just the local farmers who enjoyed having a go at the bands, they must have been really bored all week. On this occasion we ended up trapped in the dressing room after a sensible retreat from the brawl, because we thought that Kyber was still outside Gaz and The Sewell fought their way out to look for him – but to no avail, when they got back to the dressing room we were discussing where he could be when we heard Kyber say, its alright you guys I’m here, where upon we found him hiding under a pile of chairs at the back of the dressing room, i don’t think Gaz or Pete were too pleased somehow. I don’t think it was the last time something like that happened. 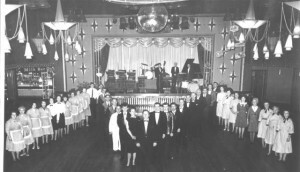 Palings – (The Princess Ballroom) – Halifax. On the top floor of Montague Burton’s, now offices, this venue attracted the cream of pop in the 60s, it was run by a really nice lady called Pearl Paling.The Montague Burton buildings are still there but instead of Burtons on the ground floor we have a Macdonalds. 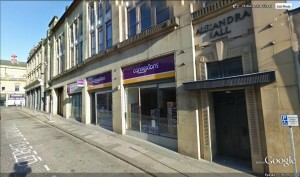 Hole In The Wall – Godwin St – Bradford. This was a venue we played often, the club was in the cellar of the Continental coffee bar, they have just pulled the buildings down to make way for a hotel or something. This was a gig which i remember for the sole reason that we were support to three session singers who mimed to their number one hit – Lets Go To San Francisco, for that record they were called The Flowerpot Men, other names they went under were, White Plains, Edison’s Lighthouse and the lead vocalist was a guy called Tony Burrows. 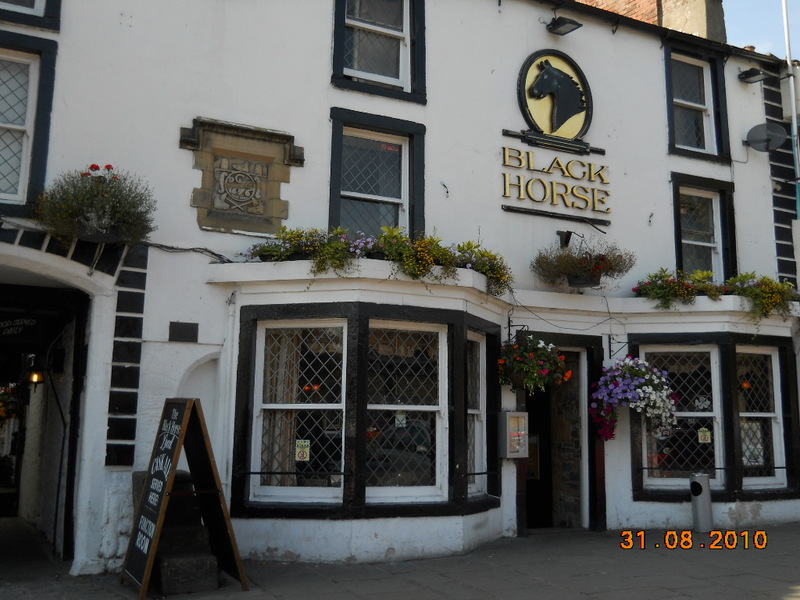 Tow Bar – Egremont – Cumbria. This venue was on a caravan site but all the name bands played it, I remember seeing a poster for Rev. Black and The Rocking Vicars (see the link, I used to watch them when they played Cleckheaton town hall when I was about 14 or 15), they were appearing the week after us. 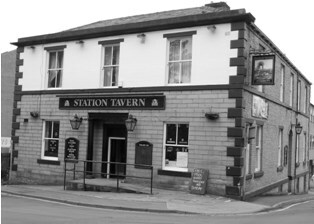 Whilst in a pub in Manchester I was talking to a girl who came from Egremont who in the 60s used to watch bands there, she told me that the caravan site is no longer there, and it is a housing estate now. 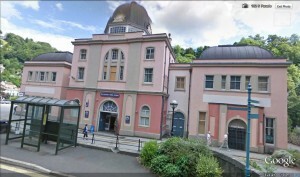 The Pavillion – Matlock Baths. This venue was the old Grand theatre, it was a splendid hall, although if my memory serves me well it had seen better days, in its day all the top acts appeared here. 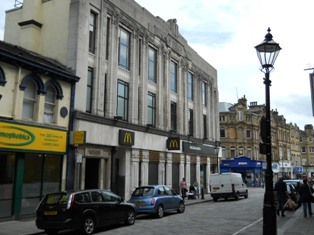 It was built in 1910 and at this moment there is a campaign to save the building and have it restored to its former glory as it as been allowed to become rundown. 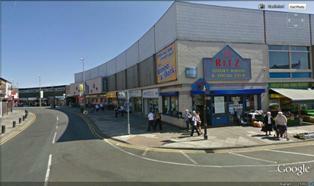 The Boulevard – York Road – Tadcaster. Great gig, we used to play the allnighters on Fridays and sometimes on the Saturday. 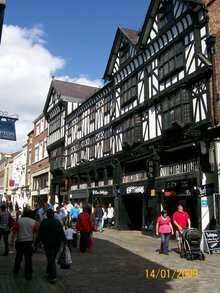 The building was pulled down many years ago but whenever I pass on the way to York the memories just come flooding back. Where the club was there is now a Little Chef. Very sad really, but time waits for no band. There used to be two rooms for the groups, one down in the cellar and the other one in the hotel itself. 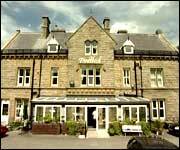 This venue took over from the Stoney Lea as the main venue in Ilkley, they used to get big name bands like Jimmy Hendrix, and The Zany Woodruff Operation etc, good gig though, I think it is now a old peoples home, The Zanies would be at home there now. 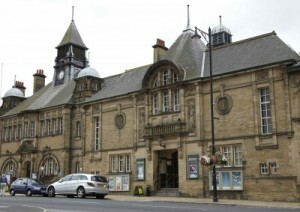 The Kings Hall – Ilkley. We played this venue only the once, i remember it being very impressive and it is still in use now. The Crystal Bowl – Castleford. This was a newly built bowling alley around 1966 in the middle of Castleford, it incorporated a theatre and a disco, many top acts appeared at the bowl, I believe it is now a bingo hall and shops, it is a shame it closed because it was a great venue to play and the facilities were top class, we played here quite often, and i remember the Zanies being support to chart toppers The Overlanders. On one other occasion I remember Hilda Baker was the star act in the theatre as we were invited to watch her act (she was top class). This was a small club in the back streets of Castleford, its only claim to fame was that it was supposed to be where Vivian Nicholson (of spend spend spend fame) met her husband, it was pulled down in the 70s and the indoor market now stands on the site. The Top Ten Club – Keighley. 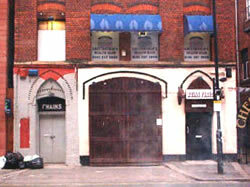 This club was opposite the cinema, the club building and the cinema are both still open, the club is now a bar and nightclub. When we played there it was not licensed and closed at eleven. 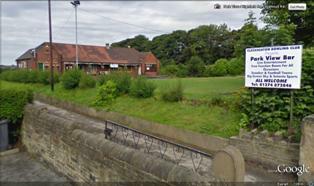 I played the club in 1979 when it was called The Fun-house run by Garth Cawood. The Locarno is now long gone, in its place is the Riding’s shopping centre, part of the 60s film The Sporting Life featuring Richard Harris was filmed here. The Wild Man – York Road A64. This was a really rough pub, a real rockers hangout, its now an Indian restaurant, amazing really, if you could go down well there you could handle anywhere, what was very intriguing was the hanging pub sign of a shabby dressed green man waving a staff looking frightened. The Victoria Hall – Hartlepool. This venue was part of the football ground buildings, at one time it had been a roller skating rink, I have been told that the hall was pulled down many years ago. This club was on the site of RAF Waddington,we played there a few times, I remember they used to bus girls in for the shows from Lincoln. The Floral Hall – Hornsea. This was a populer gig with bands , it is on the sea front and as you can see it is still going strong as a venue for all forms of entertainment. Union Boat Club – Nottingham. This club was as you would expect, on the banks of the Trent, a really good venue to play, all the top bands played this gig. In the cellar of some old warehouses, they are now pulled down, Pete Stringfellow was the DJ on the occasion we played there, it was one of the big clubs in Nottingham. 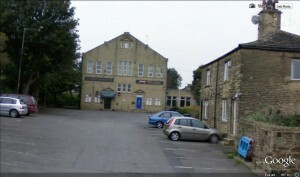 The Double P club – Cleckheaton. – The Akash. The double P club stood for Providence Place chapel, this was a one off gig to thank local supporters of the band. We played in the basement of the chapel, this was a large room with a big stage which originally was used by the Sunday school and other various activities related to the chapel. 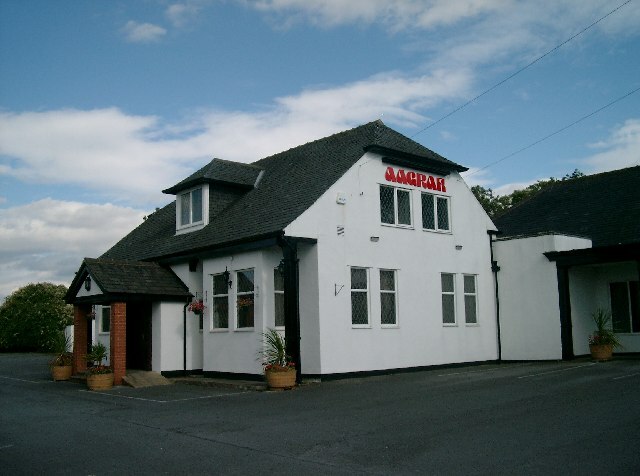 Around the year 2001 the Providence was turned into a Indian restaurant and called The Akash, its really a wonderful place to dine out, and is known world wide. Downstairs the basement is a bar and a function room, the stage is now gone and the decor different but people who have been there, who watched the gig there, tell me all the memories of the Zanies came back while they were down there, and that’s the day the chapel came alive and for certain that was the day the music did not die. 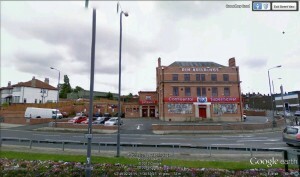 The Elizabethan Ballroom ( The Top Ten club) – Belle Vue – Manchester. This was a great gig to play, we used to arrive at around twelve o’clock and spend the afternoon in the fun fair, the stage was revolving so we would set up in the huge cafeteria which closed around six o’clock. Then we were introduced by the legendary Jimmy Saville(the DJ at this venue) and the stage revolved into the ballroom. All the top bands played this venue. It was the jewel in the crown so to speak . The Starlight Ballrooms – Boston. The Broken Wheel – Retford. This club was in a old warehouse on the canel side in Retford, we played this club a few times, sometimes we played the all nighter. The Twisted Wheel – Manchester. This club needs no introduction, it was one of the norths biggest soul venues, it was just around the corner from the Piccadilly railway station. 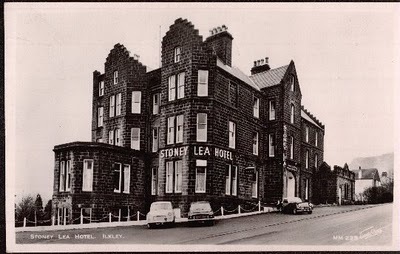 When we played there in there in 1967 it did not look quite so grand, big venue for bands at that time, it is no longer called the County but the Hallmark Hotel. Whiskey ago go – Wardour Street -London. 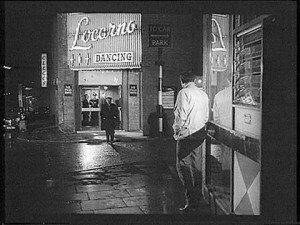 This was one of the in places to be seen at in London in the 60s, we played this club quite a few times. We used to stop overnight in a hotel called the Madison which catered for bands and was a real experience in itself. Tiles – Oxford Street – London. This was another in place to be seen at in London, famous for Rob O’Neil decking the two bouncers on the door, now that was amazing, anyone else remember. When we playedy this venue it had not become the renowned venue that it was to become years later, we played in the Empress Ballroom and the actual casino was on a different floor. I think the club closed in 80s and either becme a supermarket or was pulled down but where the casino once stood there is now a car park. 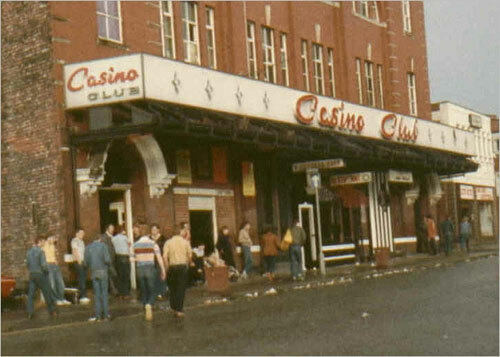 This club came under the same category as the Twisted Wheel and Wigan Casino, as when we played there it was not a famous club. 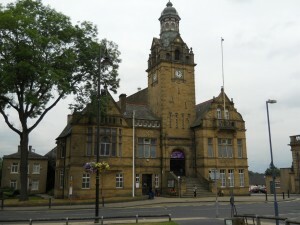 We played quite a lot of these venues, this is our local town hall. Basically from the outside they were all the same, but, inside them was really special i always thought, a lot of local history therein. A great gig to play, all the top bands used to play here, built in 1870 it was above the old Lloyds bank at 35, St Nicholas street,originally the building was the old Town Hall and was then a ballroom a cinama and a billiard hall. In 1969 Micheal Corrigan opened a night club called Micheal’s it changed its name shortly after to the Penthouse and eventually closed in 1982, The club as been turned into flats also called the Penthouse.